Every Pro Makeup Kit needs quality moisturizers. Product cost and efficacy (performance) are important considerations when choosing. As professionals, we need products that provide immediate results (not cumulative effects in 6-8 weeks), and the products need to be affordable due to our advanced user rate (lots of faces = lots of moisturizer). Of course, we’d love to use moisturizers with the latest, buzzworthy state-of-the-art ingredients, but typically the price tag attached to these skincare wonders is not aligned with our kit budget. 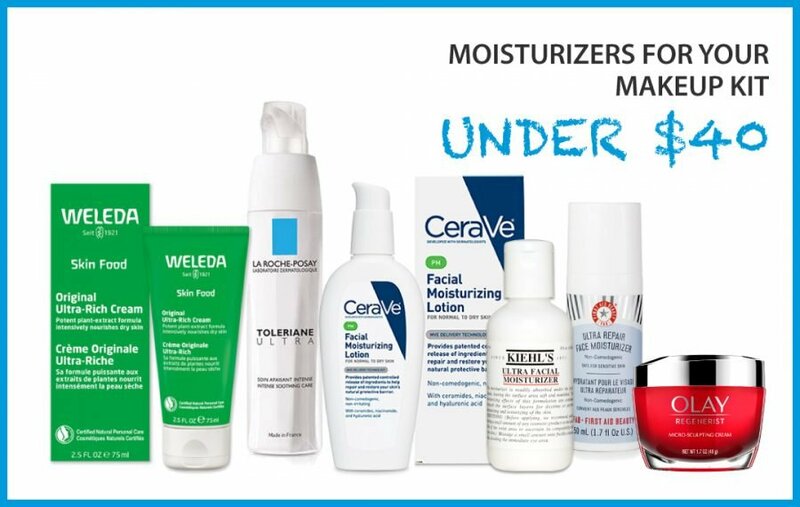 Let’s look at some extremely effective moisturizers for your makeup kit – all under $40.00 USD. One of the most highly recommended skin care ranges …by dermatologists. There’s an entire collection of CeraVe moisturizers and serums to address every skin-type with the active ingredients you find in clinical skin care (like ceramides and niacinamide) – at drugstore prices. Gentle, soothing, and highly effective on dehydrated sensitive skin. Ultra Rich is free of most known irritants, is vegan, and packs a lot of great ingredients (shea butter, avocado oil, and ceramides) into an easily absorbed formula at a VERY kid-friendly price. No high-end technology, no claims of making you look 10 years younger …just really good, basic moisturizer that hydrates the skin VERY effectively. It locks that moisture in with an emollient extract from olives (squalane), which mimics skin’s protective natural surface oils (lipids). Basic has never been better – and the 4.2 oz. bottle (HUGE) is still less than $40.00 USD. 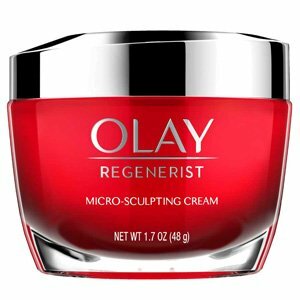 An award-winning luxury cream …from the makers of Oil Of Olay? Hard to believe, but all the hi-tech ingredients in serious skin care (amino-peptides, marine proteins) are packed into this little jar. It firms and smoothes the skin’s surface almost immediately. This is the answer for super sensitive skin – 0% Fragrance, 0% Preservative, 0% Alcohol, 0% Colorants. It immediately soothes the tight, stinging and burning sensations of highly sensitive skin with Neurosensine, a unique calming agent and Shea Butter to intensely nourish and restore the skin’s surface comfort. Chronically dry, rough skin has met its match. 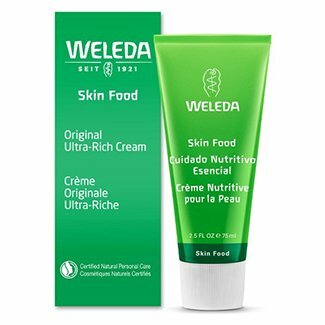 This ultra-rich, head-to-toe treatment cream is chock full of essential fatty acids (EFA), plus plant and herbal extracts to deeply hydrate, restore and protect skin. Absolutely no synthetic ingredients or chemicals are used in any Weleda product. My dermatologist highly recommends Cerave! I had skin cancer on my face so I need to be extra in skincare! This is great! Might I be as bold to add Embryollise to the list???? It’s about $24 here in the States but I pick it up at CityPharma in Paris for 11Euros!!! Hi Kevin, I was hoping that I would like the First Aid Beauty (FAB) Ultra Repair Face Moisturizer you recommend above, because it’s suitable for sensitive skin, Vegan and Cruelty free it would be a good choice. I have Embryolisse Lait-Crème Concentré which I like a lot, but I have some Vegan clients and I thought this would be a great alternative…. but sadly it gives me a burning sensation on my skin. I’ve tried it twice and both times I’ve had burning sensation where the cream is. So I must be sensitive to one of the ingredients. I don’t have particularly sensitive skin. 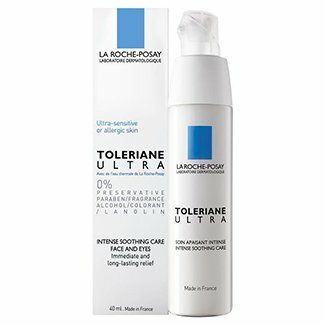 I have had a reaction in the past to La Roche Posay’s Tolleraine eye cream for sensitive skin with a similar burning sensation (and also red welts). 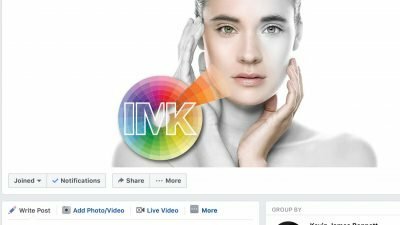 You’re experiencing reactions to products tailored to sensitive skin – that’s a warning sign. It’s time to see a dermatologist and find out why your skin is reacting.